The Population Research Institute is a (501c3) non-profit research organization whose core values hold that people are the world’s greatest resource. PRI’s goals are to educate on this premise, to expose the myth of overpopulation, and to expose human rights abuses committed in population control programs. Life.org.nz This website is a portal website relating to life issues, rather than what we call a "single dimension" website*. This website aims to present all aspects of an issue, openly, honestly, without passing judgement and as best as possible without the usual bias caused by political, ideological, religious or financial interests. The world's experts in extraction operations and in anti-child trafficking efforts to bring an end to child slavery. O.U.R. 's Underground Jump Team consists of former CIA, Navy SEALs, and Special Ops operatives that lead coordinated identification and extraction efforts. These operations are always in conjunction with law enforcement throughout the world. 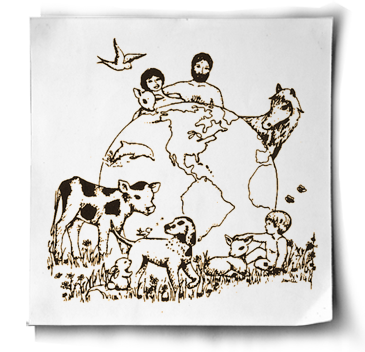 Gentle World is a non-profit organization and intentional community, providing vegan education and inspiration since 1979. With visitor centers in Hawaii and New Zealand, we offer a unique educational experience which inspires people from all over the world to transition toward vegan living. One Green Planet The problem is that the standard Western diet is extremely resource intensive. In order to produce animal products, land, water, and energy are required to grow, harvest, and transport the feed that is then fed to the farmed animals. We currently produce enough calories to feed 10-11 billion people worldwide, however, the majority of this food goes to feed livestock, not hungry people.